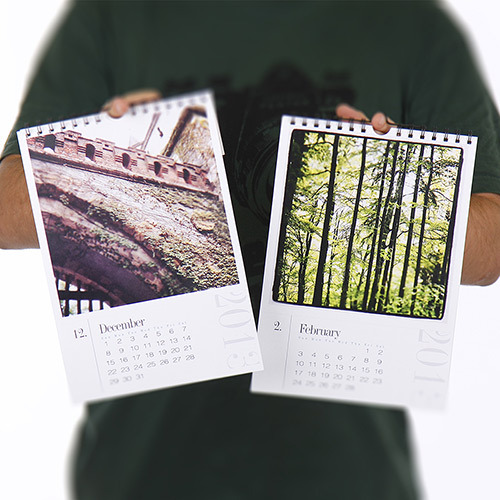 The A3 and A4 wall hanging calendars are printed on firm 300gsm paper. 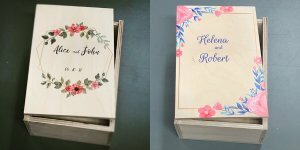 The calendars display 12 individual months, one month per page, by printing double-sided on 6 sheets. Wire bound along the top with a hanger, the wall calendars allow for a large printed space of images, graphics or text to be added. You have the freedom to create any layout or place any number of images on the space provided. All year calendars: A great gift idea, any time of the year. The Album Maker software allows you to create a calendar from any month of the year for a 12 month cycle. It can start in July and end in June of the following year. The calendar can be created with one image per month or the same space can be used as a collage and multiple images can be added. If you select “Professional Color Correction”, we ensure the images are corrected for best final print on this paper.